NY Greek Americans downed Shamrocks 4-1 on Saturday night away from home at Randall’s Island Field 70. Although the Rocks went home unhappy with the result, they’re the ones who opened the scoring with their first shot on target. As he was under pressure on the flank Sam Huteson boomed a blind pass up in the air in the box. Shamrocks left back Dan Giorgi smoothly brought the ball down and after taking a couple of touches in front of two Greeks defenders, he steered the ball to the near lower left corner of the net in the 26th minute. Three minutes later NYGA was rewarded a spot kick for a foul in the box. New signing Charlie Ledula, who had yet scored for the club in the young season, was called on to take the PK. Ledula did net his first goal in a NY Greek jersey as he beat Julio Tsasse from the spot in the 32nd minute. 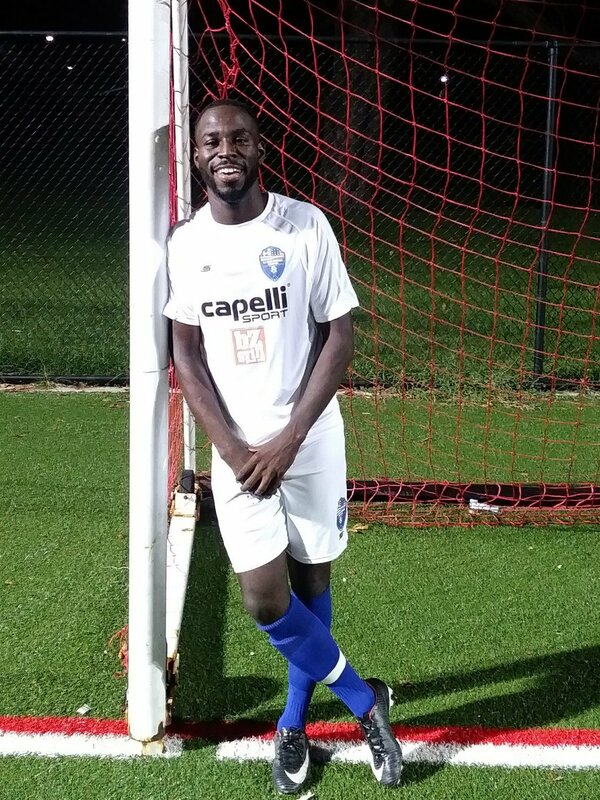 Ledula didn’t just score his first goal for NYGA, he also recorded his first assist in the 57th minute. The forward paced horizontally in Shamrocks’ box before pushing a pass back to an unmarked Pat McCann. McCann drove Ledula’s pass to the bottom right corner of the net to score his first goal for the club as well. The Greeks went two-goals ahead three minutes after the hour mark. After receiving Tyler Botte’s pass, Ledula moved between two Rocks defenders in the box before hitting a low-shot to the lower near left corner of the goal. Botte also inscribed his name on the scoresheet when he headed Noah Hutchins’ cross beyond keeper Tsasse in the 91st minute. 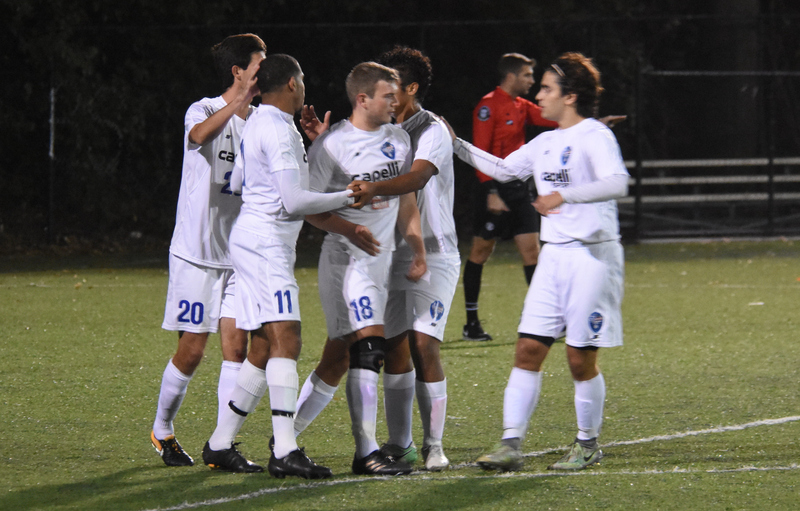 A new NY Greek star forward is in the making as summer signing Charlie Ledula netted a brace and racked an assist in his side’s 4-1 win over Shamrocks, which earned him a CSL Game of the Week’s Man of the Match recognition. Ledula was delighted with the victory. Ledula and Botte play together for PDL side Long Island Rough Riders alongside four more registered NYGA players. The big striker’s highlight reel play of the game wasn’t his penalty but when he dribbled past two Shamrocks defenders before beating the opposite keeper Julio Tsasse with a low-drive to the near left corner of the net. “I just looked up, trusted in my ability and took them on and luckily enough I scored,” Ledula said about his goal. 1. The new NYGA players are not taking time to fit in: Two of NY Greeks new signing were on target as Pat McCann netted the team’s second goal and Charlie Ledula scored a double and had one assist. Noah Hutchins notched his first assist for the club. 2. The Rocks go on two straight losses when NY Greeks hop back to winning note: Shamrocks failed to shrug off their 5-0 loss to Cedar Stars Academy from the previous round hence they roll to a two-game losing streak and drop to fifth place with a new 2-2-0 record. Meanwhile the Greeks bounce back from a 1-1 tie with Central Park Rangers, boost up their record to 2-0-1 and jump from sixth to third spot. 3. NY Greeks was without their captain, Shamrocks was without their starting keeper: NYGA captain Shaun ‘Fozzy’ Foster wasn’t present. Tom Wharf wore the armband for Fozzy. Rocks starting keeper Stephen Skonieczny was also absent. Tsasse stepped up between the sticks for Skonieczny.